The last few months, I have been actively been working on slowing down come December 1st. 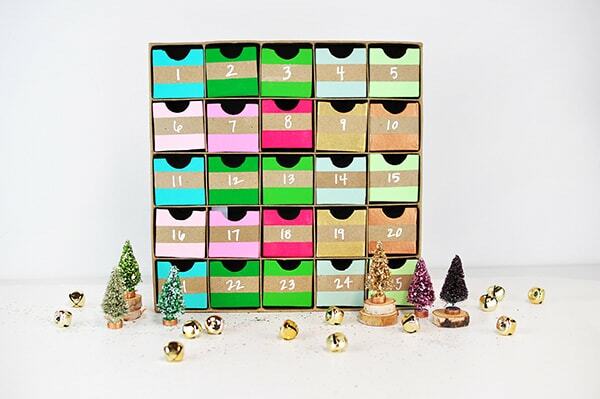 Today I am sharing a fun Colorful Advent Calendar but more importantly, I am sharing 30 different ideas that will hopefully help you slow down + get your mind and heart in the right place for this Christmas season. *This denotes affiliate links. See my full disclosure. I am adding lots of cheerful color to my Christmas decor this year, so this was a great opportunity to really add some bold paint! 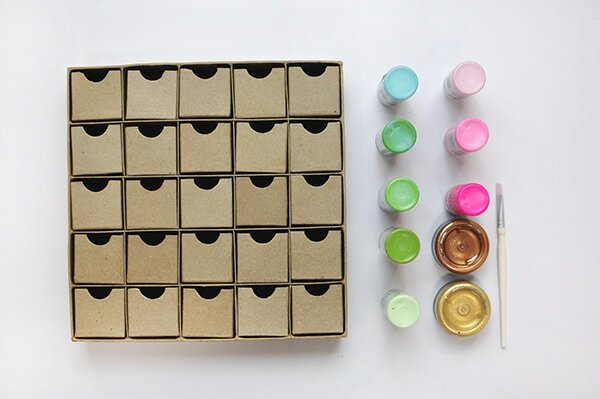 Start off by *taping your boxes. I lightly put a piece of tape on a box, lining it up with the previous tape height. Then, I pulled each box out and pressed more firmly until all the boxes were covered. I used ten different colors and had a pattern that I followed as I painted. After all the paint has dried, remove the tape very gingerly. Using a paint chalk marker, I then wrote out the dates of December. For the advent portion of this project, I created 30 different holiday related ideas. You can download the pdf to print for yourself at the end of this post. 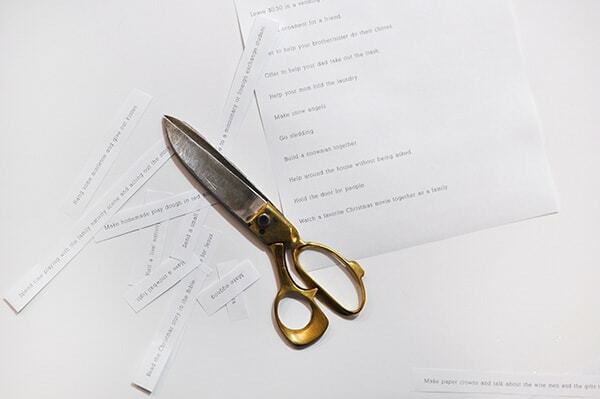 I have 30 ideas so you can pick and choose as best fits your family. Our family will be celebrating Christmas as the birth of Jesus, so we have some days that will be geared solely towards that. I’ve also included visiting Santa, baking cookies for a friend and a few small acts of service. I think it’s important to try and get the focus off our presents and Santa only… however presents and Santa are an awfully fun part of Christmas, too! The plan is come December 1st, my kids will take turns opening the correct date and during some part of the day, we will do that activity. Last year, I did too many holiday home tours. I upped my holiday DIY posts to 4, and sometimes 5 times a week. I baked cookies. I read a new Christmas book each night up until the 25th. I used wrapping paper and ribbons for my gifts. I hosted my family from out of town for almost a two week spread. I drove around almost nightly with the kids to see the houses decorated with lights. I DID way too much. And by the time it was about December 14th, I was ready for it to end. Lesson learned, big time. This year, I’ve said no to all Christmas home tours. I am strictly posting my normal 3 times a week. I still will decorate my house and make it fun. I still will bake lots of cookies with my kiddos. But most importantly of all, I am slowing down, enjoying this season of life with my little family and remembering the REAL reason for Christmas. I am really excited to start up this Advent Calendar. I think it will be a great way to incorporate fun holiday memories and stay sane at the same time! Will you be doing an advent? I’d love to hear all about it in the comments. Found you from the link up. 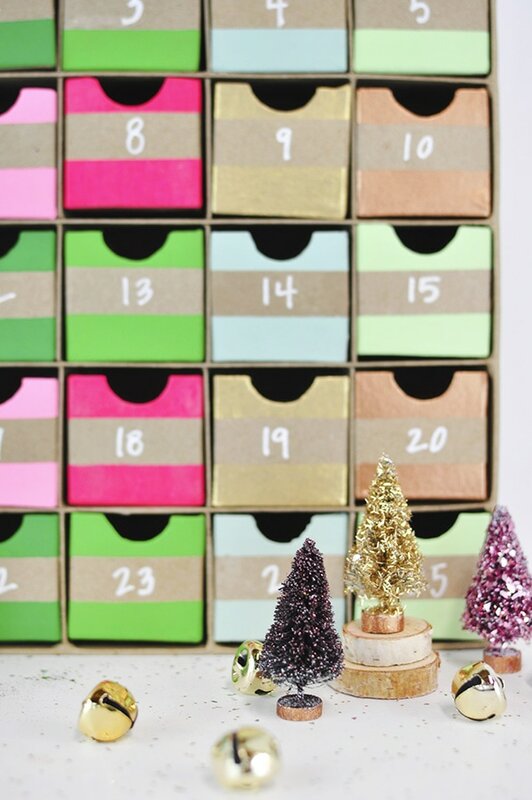 Love your advent calendar. 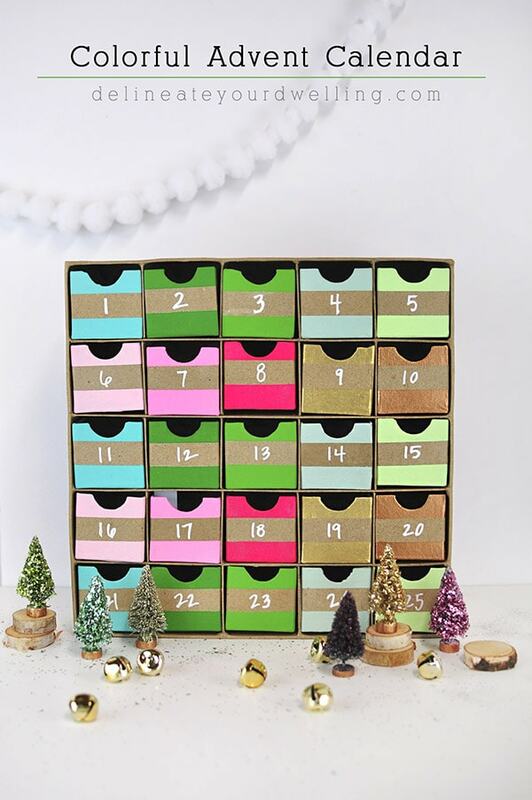 I recently posted about my own DIY advent calendar, but I think I might have to try yours next year! Happy Holidays! Thank you Colleen! It’s so fun to create memories and do an advent. I love trying to news each year with my kids! Thanks for stopping by. Hey! Yes, this is the opposite of my bottles. But much more colourful as well <3 <3 <3 Lovely! Love this Amy! I’ve been looking for a fun and simple idea and I’m so inspired I just ordered one! Thank you! 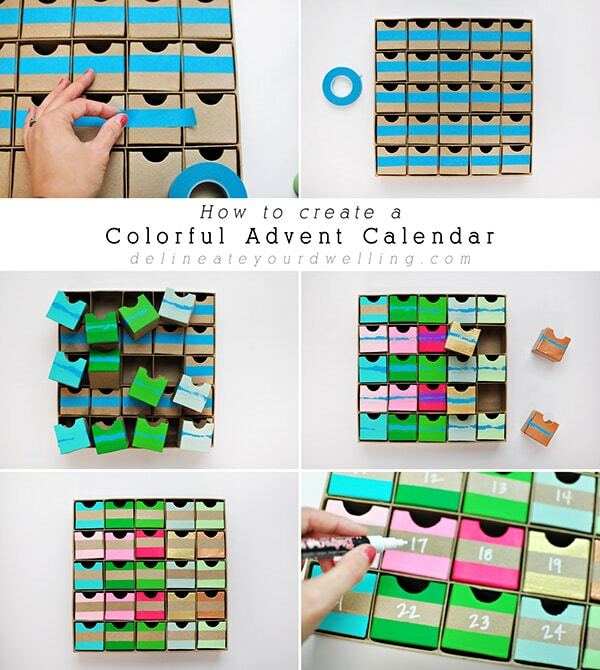 Love this advent calendar. And love your ideas to help us slow down and truly enjoy the Christmas season. Being a blogger myself can understand how crazy Christmas can be, trying to come up with lots of Christmas posts and forgetting to enjoy the process. 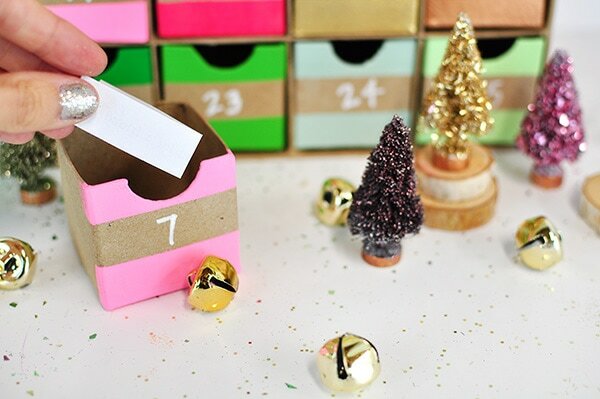 Your advent is too cute. Typically we do activity advents each year but the kids asked for something different this year so I have no idea what we are doing now.